Product information "DT Swiss 240s Boost Disc IS Atmosphere 25 XL Comp Race Wheelset 650b 1580g"
These hubs define perfect performance. The 240s disc hubs with the patentet Ratchet System are perfect for the rider looking for top end performance all day long in his wheels.Boost compatible hubs have an enhanced flange distance. This has significant advantages: a flatter spoke angle and improved symmetry allow building a stiffer and stronger wheel, always an advantage, but especially for larger diameter wheels in challenging terrain. 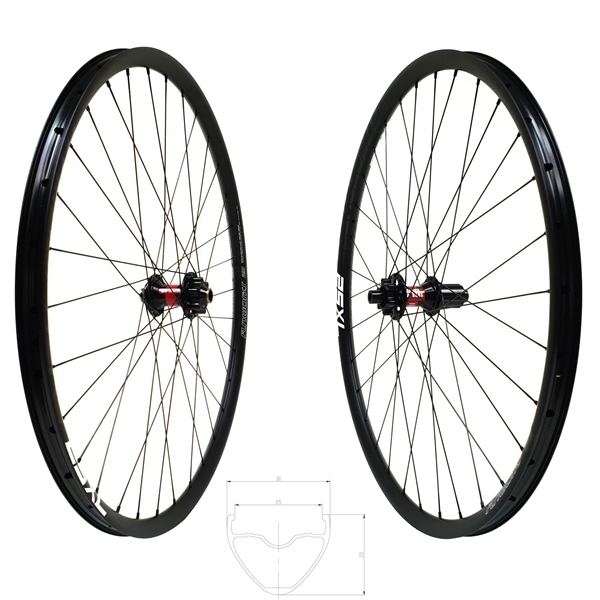 Related links to "DT Swiss 240s Boost Disc IS Atmosphere 25 XL Comp Race Wheelset 650b 1580g"
Customer evaluation for "DT Swiss 240s Boost Disc IS Atmosphere 25 XL Comp Race Wheelset 650b 1580g"